Just because you reject one fact with a staggering amount of common sense and scientific evidence behind it doesn't mean you have to reject all of them – and so it is that Flat Earthers officially accept human-caused climate change. This week Reddit drew our attention to a tweet from the Flat Earth Society posted back in July, which suggests – as far as the social media managers at the Society are concerned, at least – people can believe in both a Flat Earth and climate change. Speaking of "overwhelming evidence" – has anyone at the Flat Earth Society looked into the evidence for Earth being round lately? Even just watching a lunar eclipse or a ship come into port from a long way out would be enough. It turns out that members of the group have been espousing sensible opinions on other topics for a number of years, which makes it all the more bizarre that they've signed up to the Flat Earth Society. 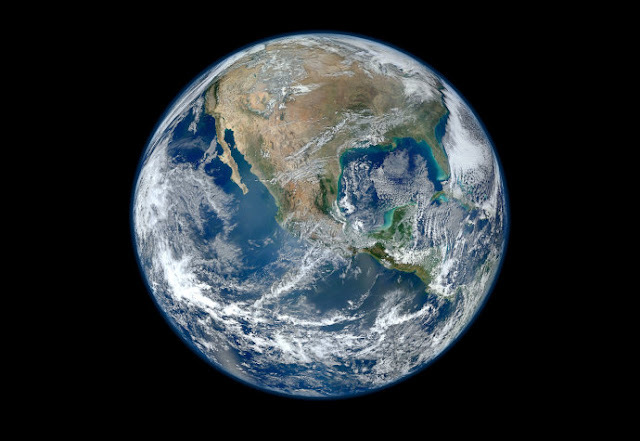 As a reminder, the Society insists that our planet is a flat disc, no one has been to the Moon, the world is surrounded by a huge wall of ice, and that all those photos of Earth as a green and blue marble are faked. That's not even mentioning the even weirder stuff. Still, we suppose we should be grateful that the Flat Earth Society and its members are only tackling one conspiracy theory at a time. There are enough climate change skeptics around as it is – and many of them are in high positions of power. In fact, this kind of selective reasoning isn't as surprising as you might think. Conspiracy theorists will often contradict each other, and themselves, when claiming that governments and scientists are getting the basic facts of the Universe wrong. Investing in a certain way of thinking requires time and energy, and once that investment is made, giving up those beliefs isn't easy – as you may have noticed if you've ever spoken to a Flat Earther. Perhaps investing in more than one conspiracy theory is just too much mental and emotional effort for people, which is why they tend to stick to one at a time. We'd like to take the opportunity to welcome the Flat Earth Society's acceptance of humanity's role in the acceleration of climate change – and to suggest its members devote even more time to looking at the science of our planet.